Alpha in Omega!!. 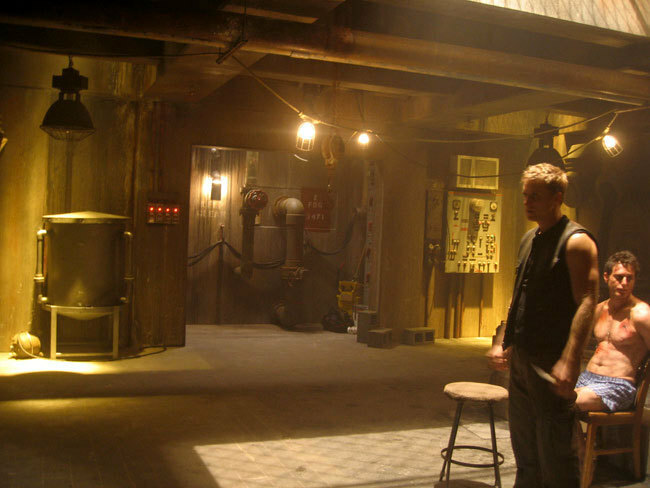 Spoilers for the episode Omega, first look at Alpha + his ......... den? Haha. Wallpaper and background images in the Dollhouse club tagged: dollhouse season 1 episode 12 image picture omega alpha 2009 house promo. This Dollhouse photo contains street, city scene, urban setting, and brasserie. There might also be diner, bistro, tavern, and tap house. Maybe you should just link to pictures like this, apparently knowing what Alpha looks like is a big spoiler as he might be in some scenes when we're not supposed to know it's him yet. I know it says spoiler in the description, but you see the picture before you read that so people don't have the chance to not look. Still, I already knew who was playing Alpha so for me this picture is just pure awsome. I did think about doing that but the place where I got them has really rude adverts on the side so instead I was thinking I would post them somewhere else and then add a link but I dont know of anywhere else and in the end I got too impatient and I had to share =( Maybe I could add pictures in front of it saying that these are to hide a spoiler pic.